According to the legislation, namely the Land Code, owners of vehicles have the right to obtain ownership of the land under the garage, thus buying it from municipal ownership. The cost of land for each region determined its own way, but it can not exceed its cadastral value. There are two cases of privatization: ownership of the cooperative and in detached building. This should be done carefully, so as not to be evicted to the garage with this land. Gather General meeting of the garage cooperative and decide on the privatization of land. After which the Chairman must apply to the local authority on the granting GSK land plot in rent or the property, enclosing the list of documents. These include: minutes of the meeting of members of the cooperative, where everything is decided on the privatization of land to the society; minutes of the meeting of shareholders about the appointment of the Chairman; the certificate of state registration, the Charter of HSC, certificate of incorporation, the certificate on registration in tax body; the technical passport at all garages; the failure of judicial authorities to provide cooperative information on the land, as it is missing in the unified state register; the state act about the granting GSK the land; the cadastral passport at him. Will receive a draft contract of lease or sale. Perform a survey of your plot, if there is a cadastral passport. This should be done after the making of the order by the administration, the latter is considering the matter and shall render a decision not more than 30 days, the provision of garage-building cooperative a land plot in rent or the property. Enclose the contract for the lease or sale of land. Make, if required, at the stage of survey, lists of shareholders and the General plan of the territory of the cooperative. Note that the division of the territory of the cooperative or on some areas under garages is not happening. Register with the justice authorities a contract for the lease or property, providing documents: statement; lease agreement or the purchase and sale (legal documents); order of administration on the allocation of land; the mouth; the certificate of state registration; the certificate on registration in tax Department; an extract from ABOUT on of garazhno-stroitelnyjj KOOPERATIV; the Protocol on the appointment of the Chairman; the payment receipt of state duty for registration. After 30 days, the judiciary will issue a rental agreement or proof of ownership of GSK on land. 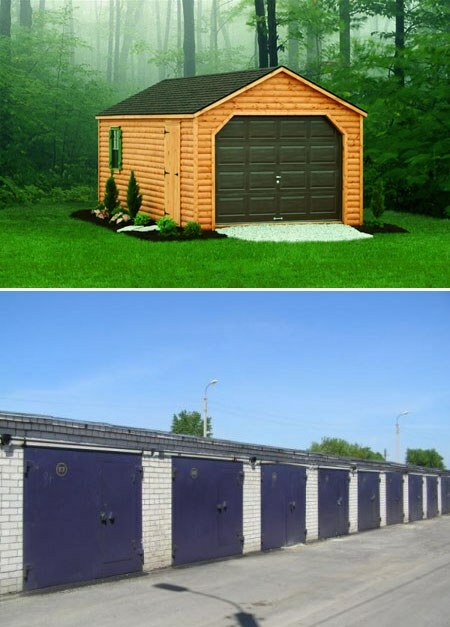 Assemble the documents required when land is privatized under a detached garage. It includes: a statement that is served in local government; a photocopy of the civil passport of the owner; photocopy of documents of title to the garage; lease agreement or copy of the document on land use right. Register a contract of sale between you and the local administration in the judiciary after obtaining permission, usually the term consideration does not exceed 30 days.